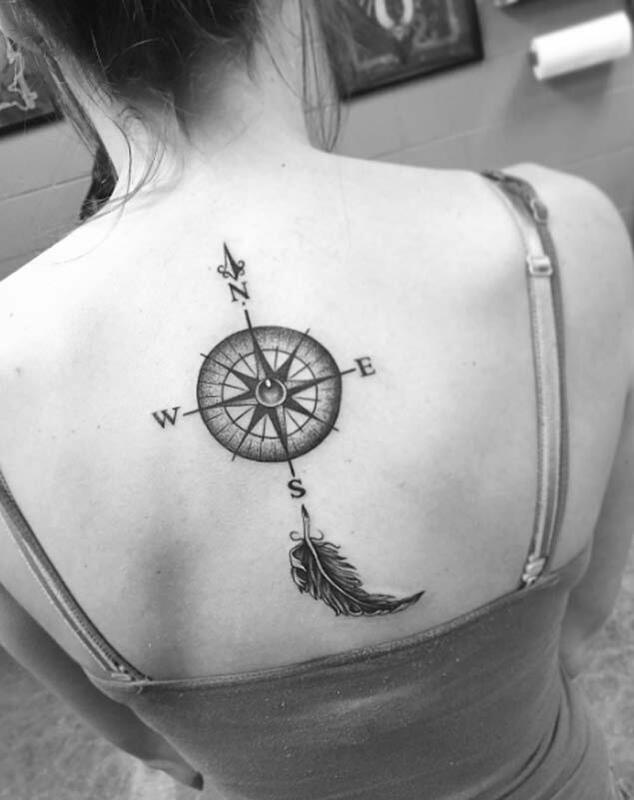 Many people choose to get a tattoo, usually to honor a memory of someone or something. For others, it could be a form of artistic expression, or merely the result of a drunken dare. 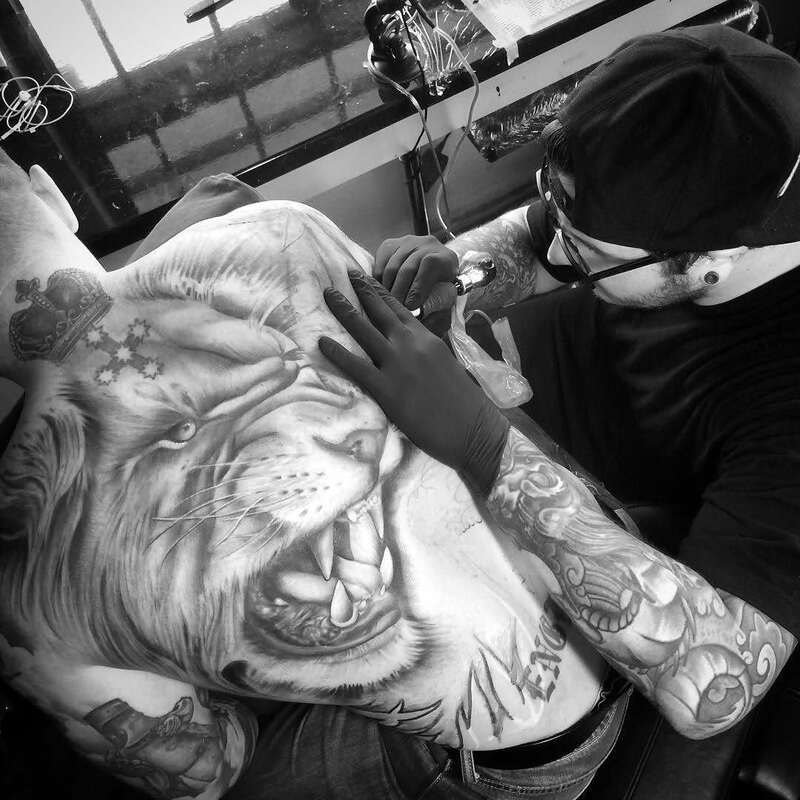 Whatever the reason why is, where to get tattooed on the body is just as important as the design. 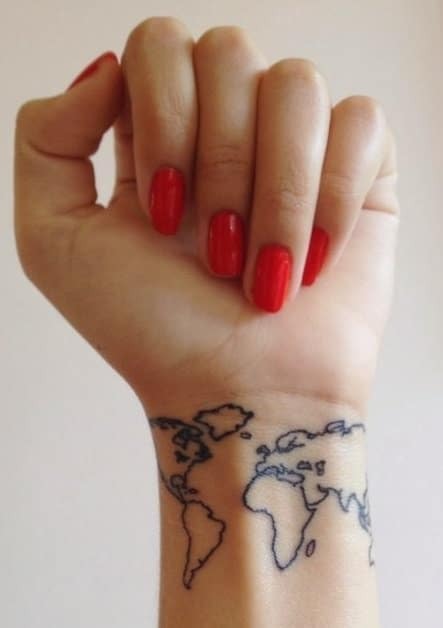 What Are the Most Popular Areas to Get Tattooed On? When it comes to places on the body that are popular, this can vary as much as fashion trends do. When someone famous appears with a tattoo in a certain area, it causes a stir. The next day, everyone is rushing out to get inked there. Some areas always remain firm favorites, but these often differ between men and women. 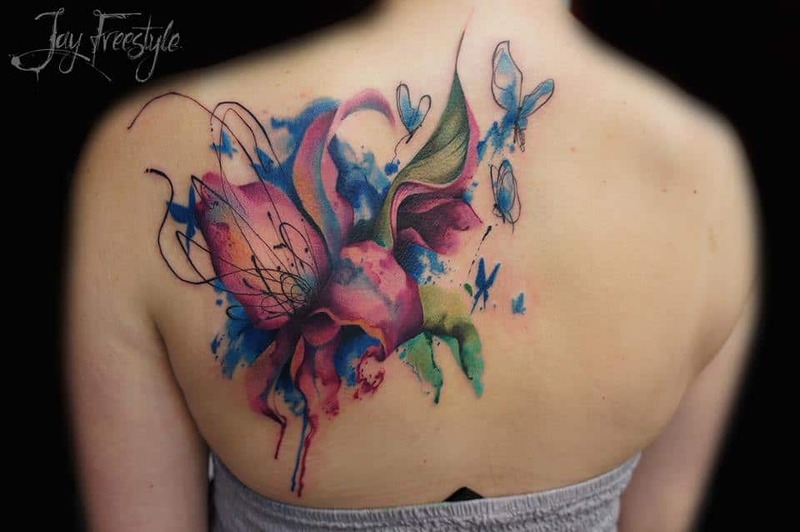 There are quite a few factors that can influence where a woman gets her tattoo. Where you work could play a role, as it may not be something that your superiors will look kindly upon. Some areas may lead to people being judgemental about you, such as the lower back, tramp-stamp stigma. You need to put some thought into where you want your tattoo. Get the artist to put the stencil on so you can take a good look at the placement. You could leave it on for a couple of days to see if it’s something you’re going to be able to live with. 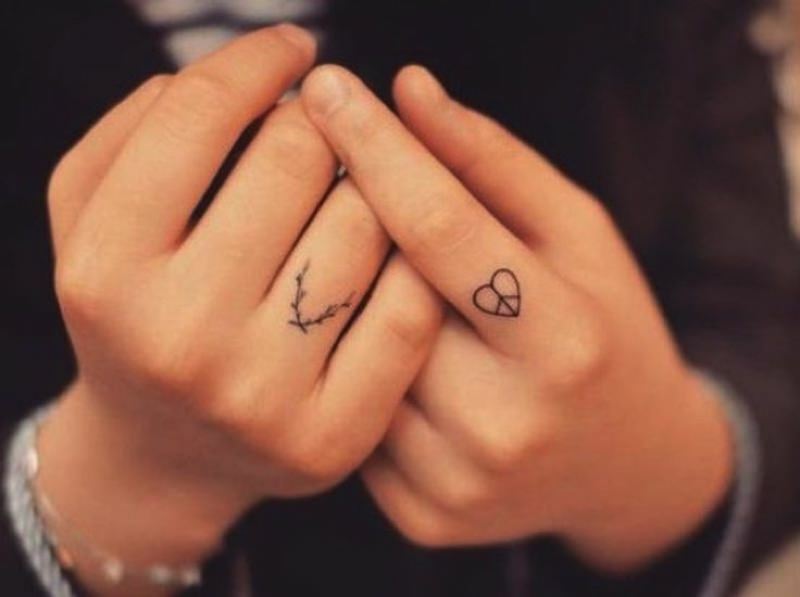 The inner wrist is a favorite area for those small, delicate designs, or a few small words. The pain level for a tattoo in this area is high. It has a lot of nerve endings, and it’s closer to the bone so there’s not as much cushioning. Even so, it’s often a popular choice. It’s an area where you can hide the ink by covering it with a watch or some bracelets. Make sure you let it heal first before putting the jewelry on over it though. This is a very feminine place to have your design. For some, it can feel quite painful, as, like the wrist, it’s near to the bone. The amount of pain will depend on your tolerance level. You can choose a small, subtle design or a bigger, more daring one, and either will look good. These are not easy to hide when it comes to summer and sandal weather, so take this into consideration. 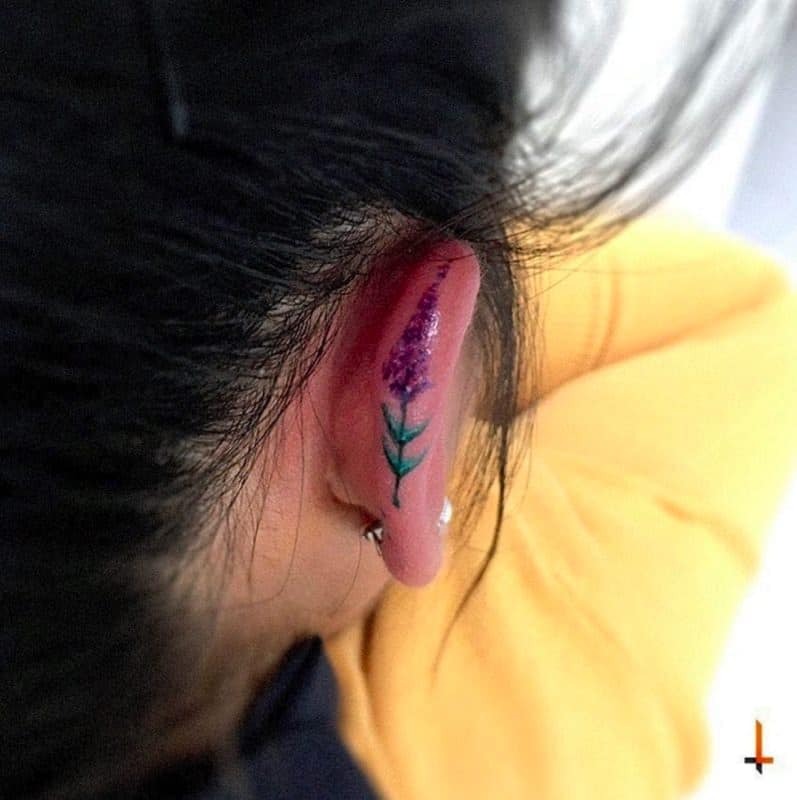 The inner ear is the latest trend for where to get a tattoo. Some say that the pain isn’t too bad, while others have said it’s very painful. Whichever you experience, the noise from the tattoo machine is very loud, which may cause you to feel dizzy or suffer headaches. People choose these due to their small and dainty size, as it makes them look like a delicate piece of art. 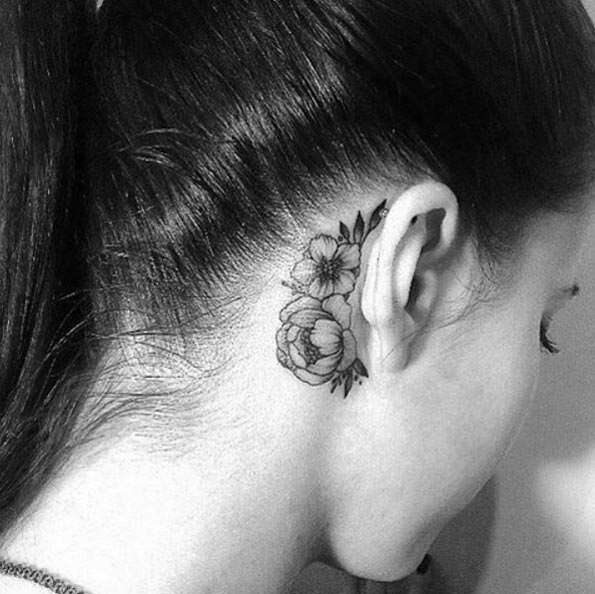 A tattoo behind the ear has been popular for a while now, even though this is a very sensitive area and likely to be quite painful. On this part of your body, the skin is thin and the area is right on your skull. You will be feeling and hear the buzzing and vibration in your brain. It’s also an area you can cover if you have long hair, and when you sport an updo, your image changes completely with the tattoo addition. This can also be a painful area to have tattooed, but the effects are likely to be stunning. Being on your arm means it won’t be as easy to hide, unless you’re wearing sleeves. 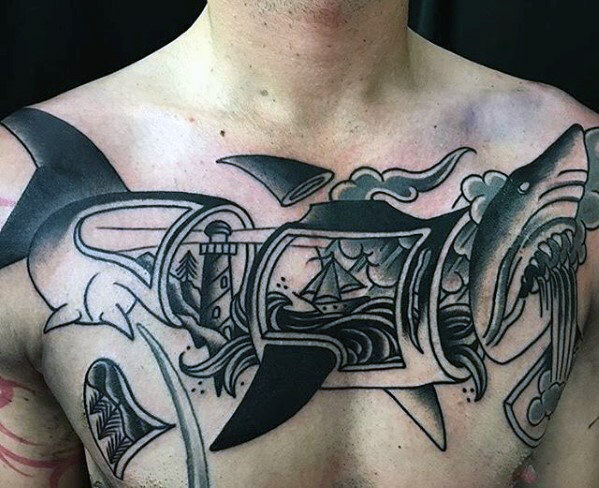 The inner arm is often chosen when tattooing words, but feminine designs also look good. Small and delicate designs that are simple in style are a favorite among women. Tattooing them is quite painful, as the skin is so close to the bone. Having said that, the designs are very small, so the time spent in the tattooing chair will be short and the pain will soon be over. You can have a small or large design in these areas; both will look good. Men seem to find tattoos on the back of a woman very attractive. It’s an ideal place to choose if you need to cover your tattoo up for work. 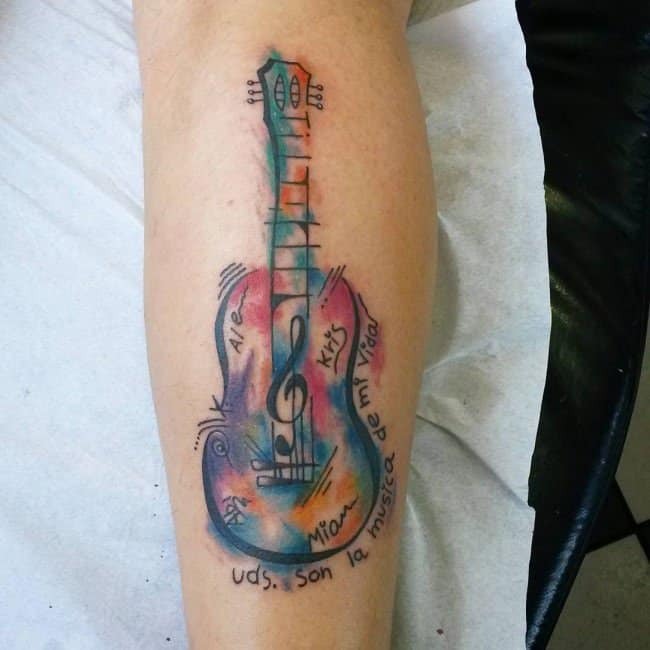 The downside is when it comes to caring for your tattoo. As it’s on your back, it’s hard to reach, so you might need some help with aftercare. Another drawback is if you usually sleep on your back. This isn’t something you should be doing until the tattoo has healed. Either choose another sleeping position or decide on another placement for your new tattoo. The nape of the neck is a great canvas to add a design to. With long hair or a collar, it’s somewhere you can hide it from the world. The pain is not too severe, although it can be if it extends to the top of the spine. Some find it uncomfortable when working on the part of the design that falls there. We take pride in the works of art we get inked on our body. 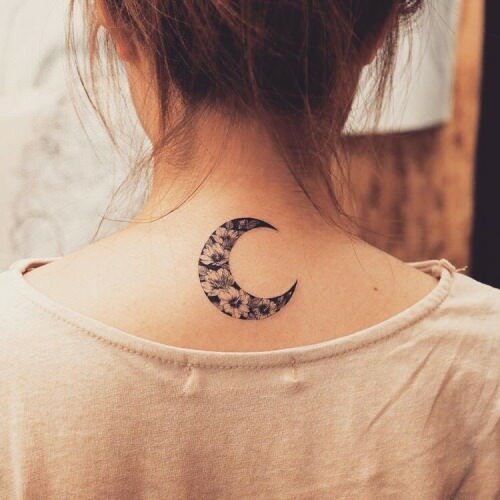 There are some places on the body that give more impact to the tattoo. People spend months, or even years, building up their body art. 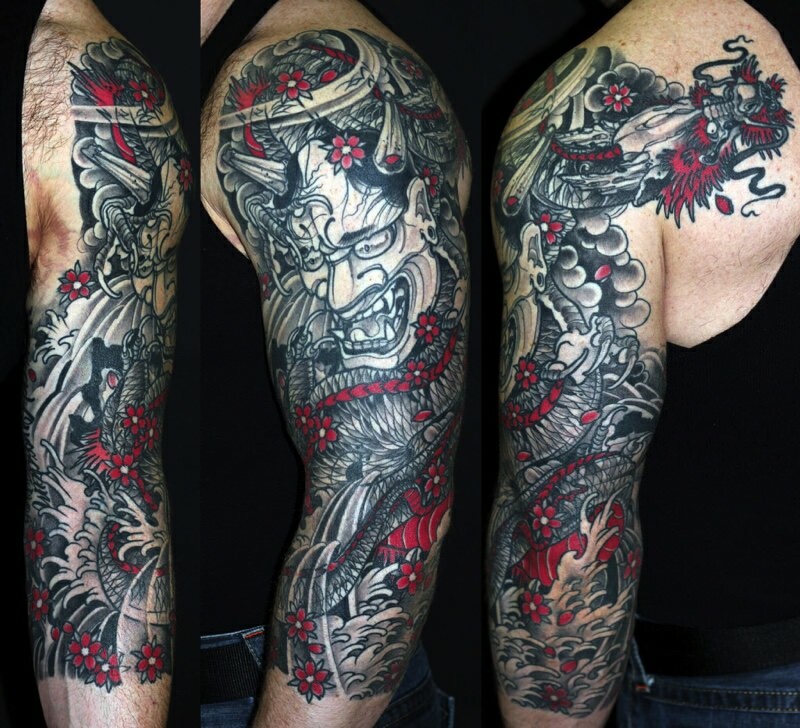 Whether it’s a full sleeve or a full back design, these pieces of art catch the attention of many. 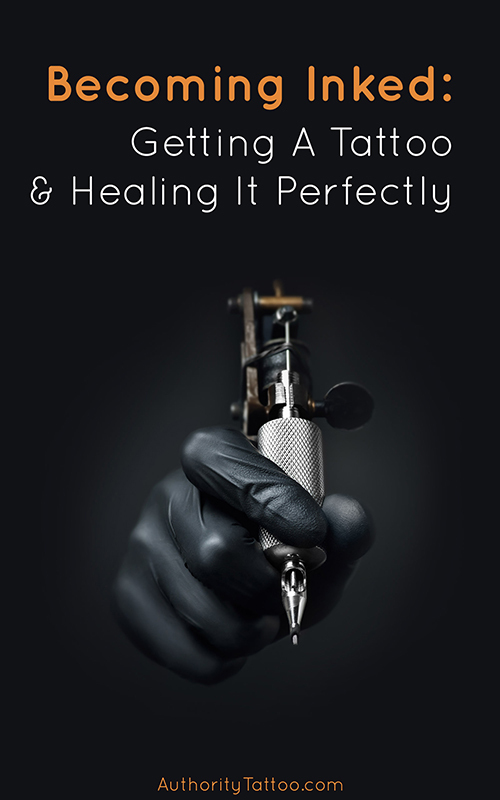 Consider workplaces and how they will regard the tattoos. Some places are more conservative and don’t like employees having tattoos on display. As a man, body hair is also a factor that you need to consider. Hair growing over a tattoo once it has healed can change the appearance of the end result. You may need to reconsider the location if you don’t want to be constantly shaving or waxing that area. Pain is another factor, but not so much for men, as most like to show how brave they are at withstanding pain. You also need to consider the design and think about how it will fit the part of the body you’ve chosen. Make sure you get it stenciled on first so you can see that it sits well. This gives you a huge canvas for your design, and getting a tattoo in this area is not so painful either. It is easy enough to cover up, as for many jobs you have to wear a shirt. For those where you don't, then they’re not likely to mind you having a tattoo. Remember to consider body hair. You may need to keep shaving or waxing to give your design the full effect when that shirt is off. This area is becoming more popular and provides a good canvas for some decent sized artwork. It’s easy to hide by wearing pants. The summer months may prove more difficult to cover. 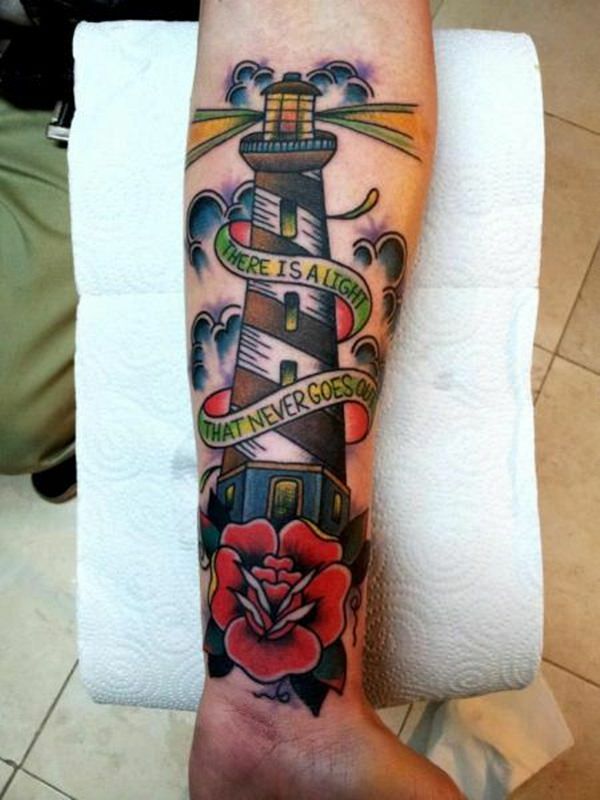 Although, again, if you’re allowed to wear shorts at work, a tattoo shouldn’t be an issue. 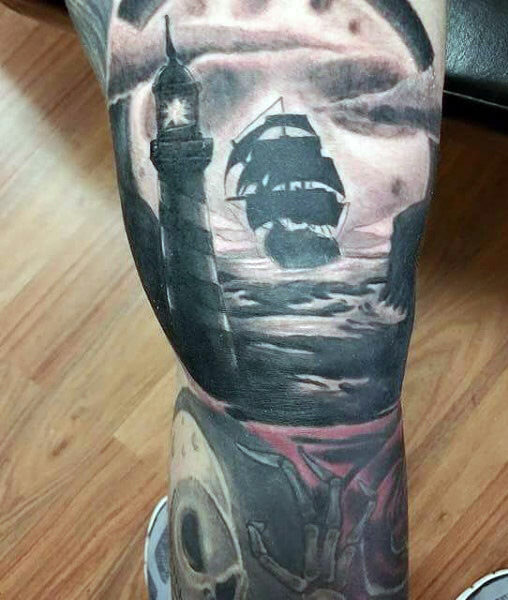 If you have a tattoo on the outer calf, this can be a little painful, so prepare yourself. If your body is in great shape, then this is the place to put a tattoo. Whether it’s a small and simple design or something on the large side, it will look awesome placed here. The biggest problem you will have to face is the pain. Getting a tattoo in this area can cause extreme pain, but it will all be worth it afterward. Getting a tattoo here has some great benefits. You get a perfect size of canvas for any design shape or size, plus it’s easy to hide. The pain level in this area isn’t so bad either, apart from when working around the spine. Think about how you’ll sleep during the healing process, if you usually lay on your back. This is not something you’ll be able to do until it has healed completely. Many people choose this area, and it’s a great place for displaying your tattoo. The arms are one of the most exposed parts of the body, particularly in the gym. If you need to cover it up for work, you can hide it by wearing sleeves. If your biceps are in shape, this will emphasize the design of the tattoo. 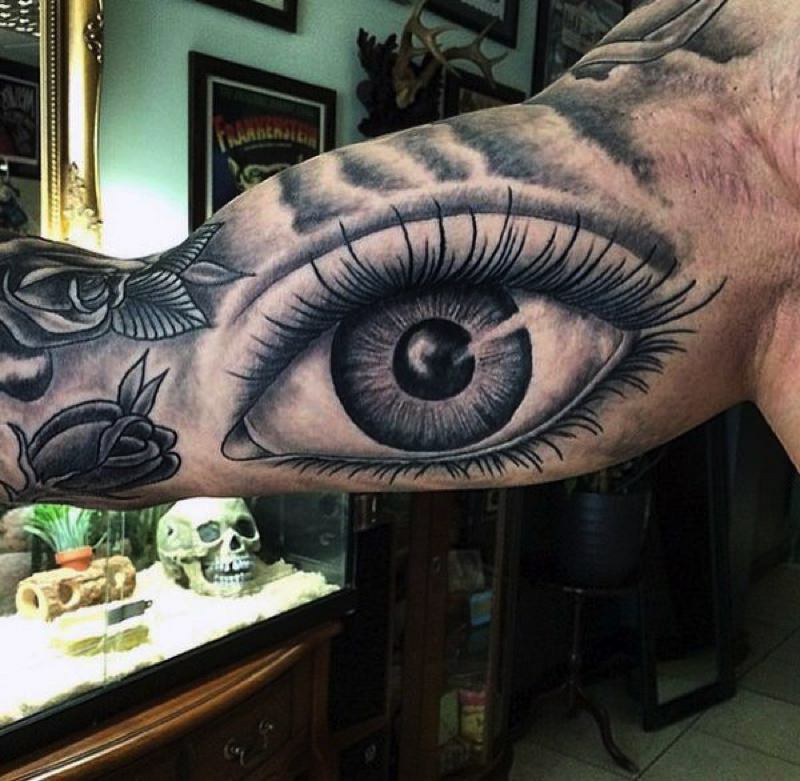 When it comes to the inner bicep, it can get a little painful when tattooing that area. A design in this area can have a great impact, and another bonus is that women usually find them attractive. If your arms are in good shape, the impact is even more astounding. It gives you a reason to hit the gym even more, to pump those arms and admire the artwork. The pain is not too bad, but you will feel it more if the design goes over the top of the shoulder too. If you have to conceal your tattoo for work, then this is an ideal place, unless you’re an underwear model, that is. The area gives a good size canvas for any type of design. If you have big thighs, then the tattoo will work to emphasize the look of them more. So when you get those shorts on, you’re going to be making a statement to the world with your art. Placing your tattoo here is not going to be as easy to hide without wearing long sleeves, so make sure you think it through. Placing it on the inner arm means you get to decide who sees it too. People will be wondering what the design is. 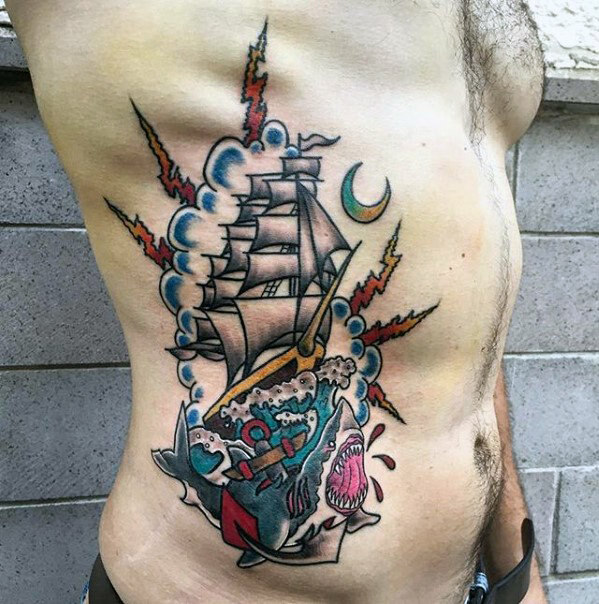 They can see there is a tattoo there, but they can't see the design. This is more painful to tattoo than the outside of the arm, so get yourself prepared mentally before you have it done. 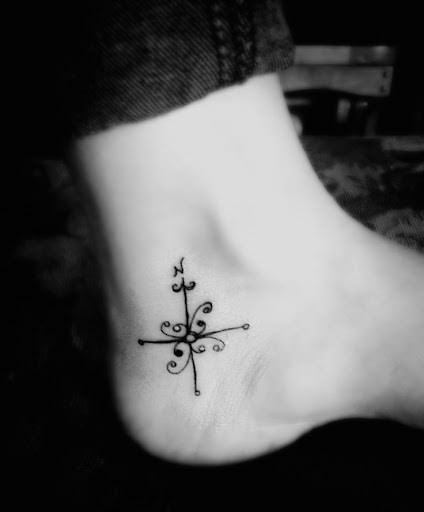 The main thing to remember when deciding where to get tattooed on your body is that it will be there forever. You can’t just wash it off, or move it to another area. 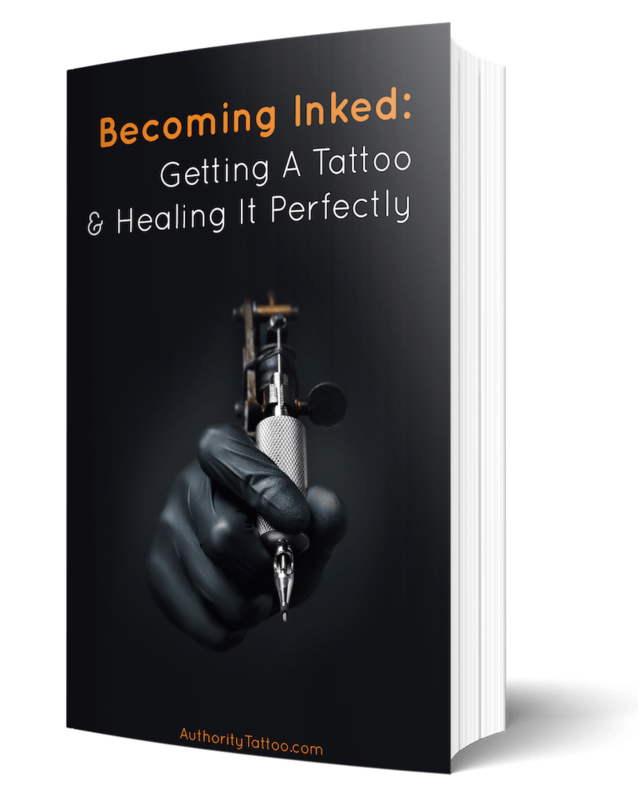 Moreover, you certainly don’t want to pay more money—and go through more pain—to have the tattoo removed because you don’t like where it is.